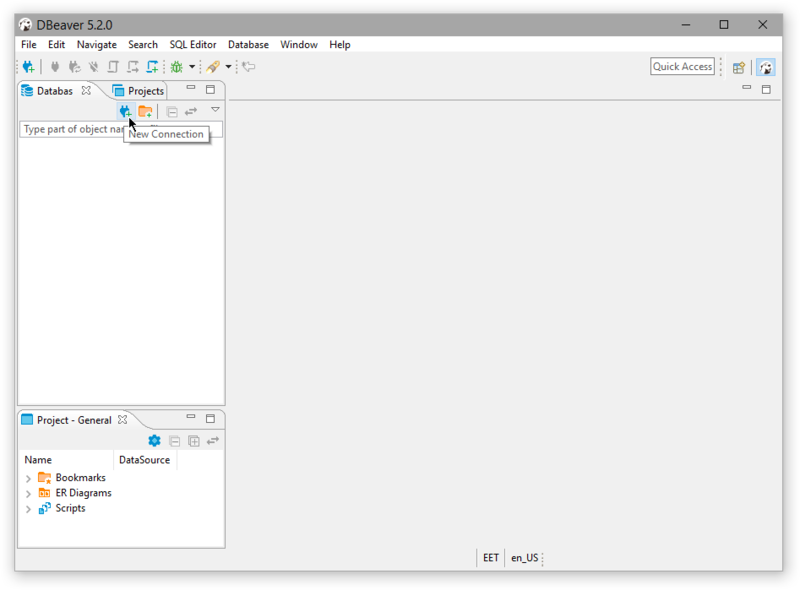 DBeaver DBeaver is free and open source universal database tool for developers and database administrators. 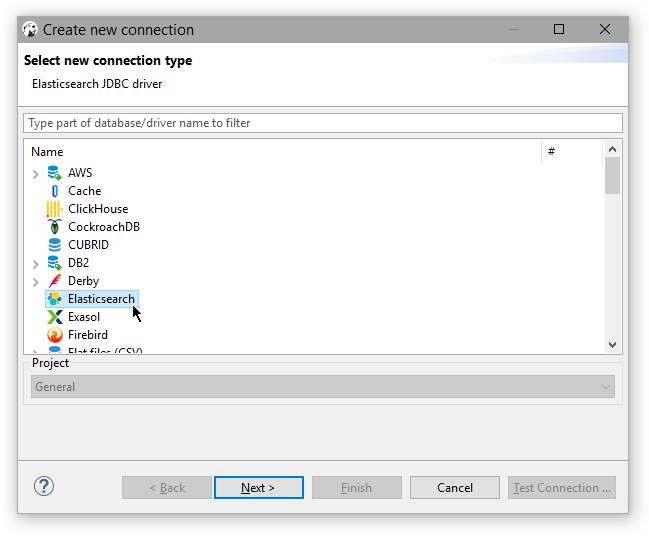 Create a new connection either through the menu File > New > Database Connection menu or directly through the Database Connection panel. 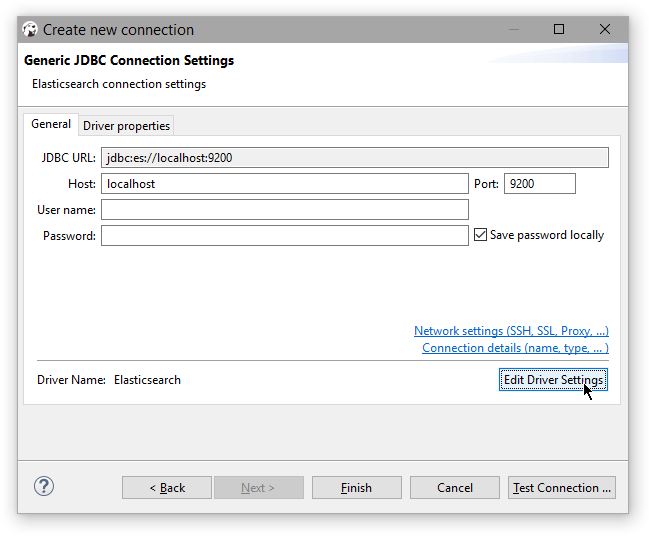 DBeaver is aware of the Elasticsearch JDBC maven repository so simply Download/Update the artifact or add a new one. As an alternative one can add a local file instead if the Elasticsearch Maven repository is not an option. 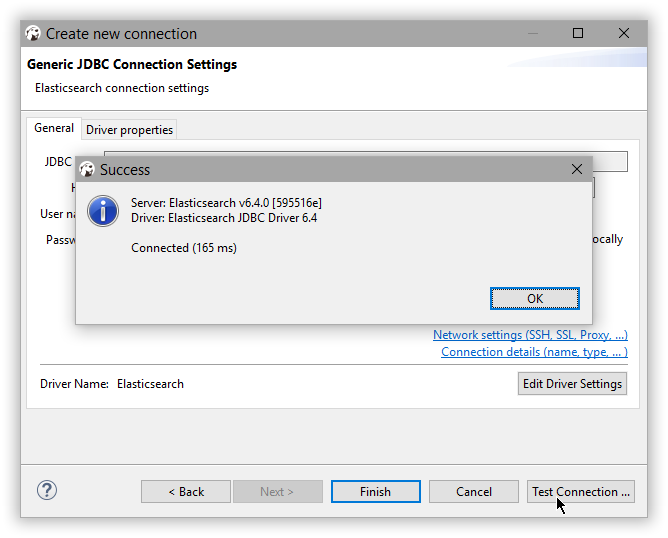 When changing the driver, make sure to click on the Find Class button at the bottom - the Driver class should be picked out automatically however this provides a sanity check that the driver jar is properly found and it is not corrupt. 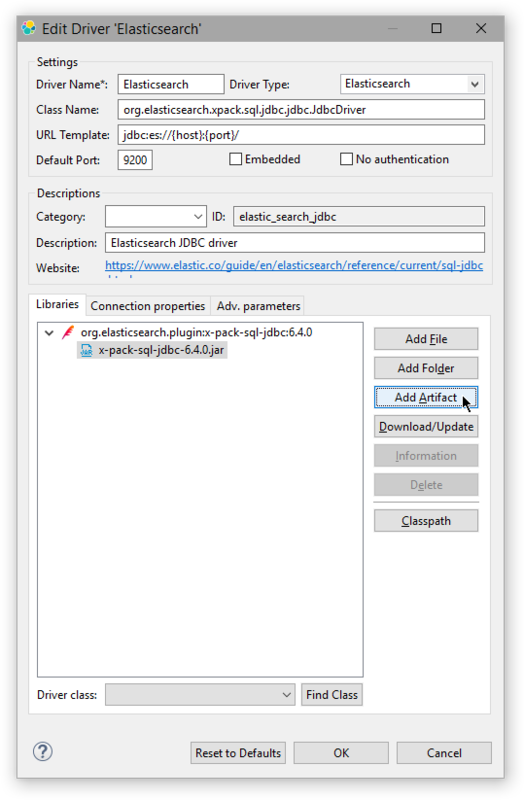 Click Finish and the new Elasticsearch connection appears in the Database Connection panel. 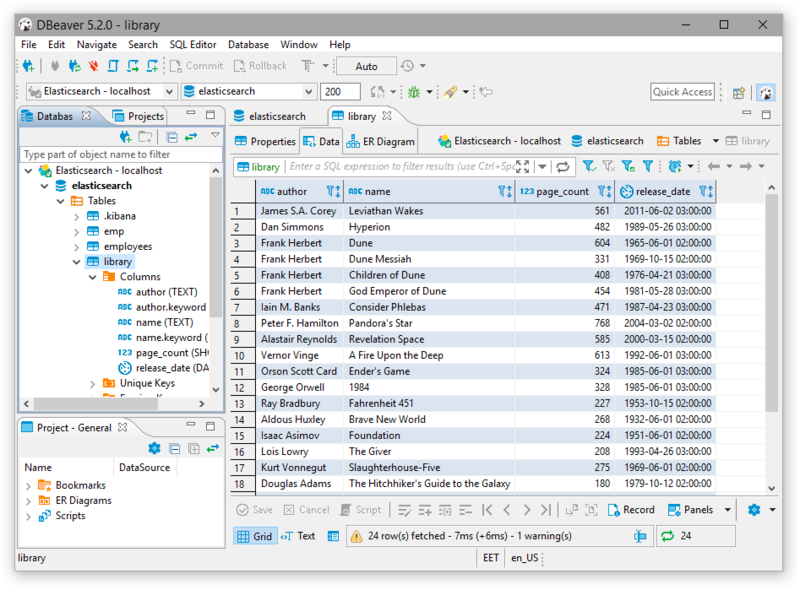 DBeaver is now configured to talk to Elasticsearch.